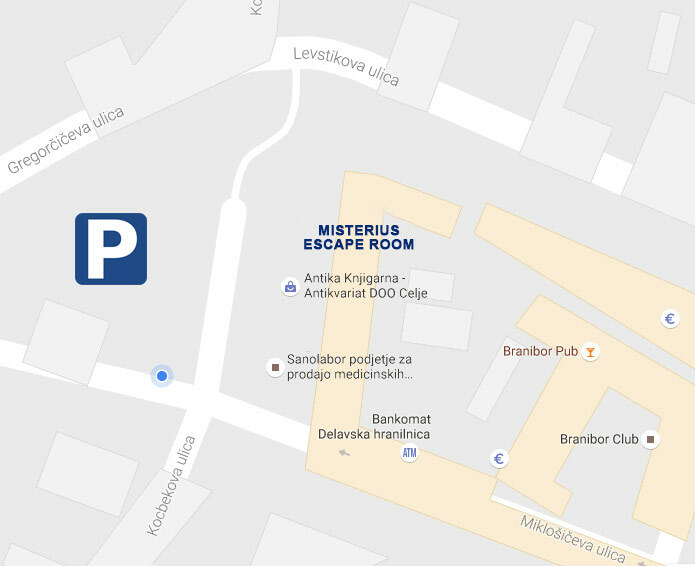 Misterius Escape Room is located in the centre of Celje. There is a parking lot right next opposite to our location (free of charge after 4 pm). A booking is required 12 hours before the selected term. All questions, sent by E-mail or online form will receive a response within 24 hours, or you can call us during working hours. Do you have a question? We are looking forward to receiving your message.